Grand, historical ryokan featuring Shirahone’s unique milky-white onsen water. 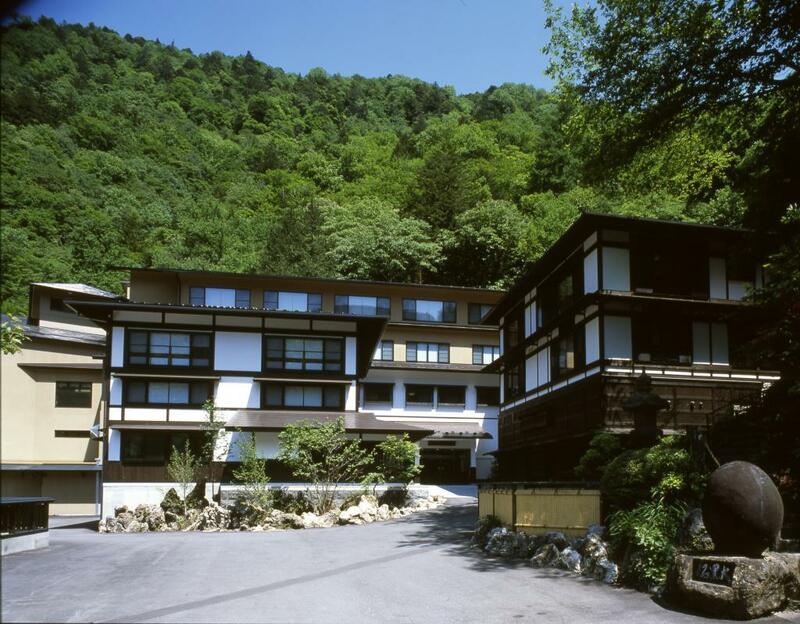 For over 270 years, guests have enjoyed rejuvenating themselves in the inn’s medicinal waters surrounded by the lush nature of the Chubu Mountains National Park. Shirahone’s mineral water is a unique translucent bluish white and at Saitoh Ryokan, guests can drink the mineral water. In fact, they have their own hot spring source (hence the “Yumoto” part to their name). Available around the lobby and front desk. From Matsumoto Station(JR Shinonoi Line), From Matsumoto Station, take the Matsumoto Dentetsu line bound for Shin-Shimashima, approx. 30 min. Change to bus bound for Shirahone Onsen, and take to the end, 40 min, then 10 min on foot. From Matsumoto IC, Take Route 158 east to Sawando, then Route 300 to Shirahone, approx. 80 min. Nishi-Itoya in Kamikochi : Foreigner-friendly lodge in the heart of the Kamikochi basin. Heritage Horseback Riding in Kiso : Horseback Riding on Kiso’s Own Breed of Horses.